Well, actually, it ended up costing around $24.00. McDonald’s recently launched new, upscale “build your own burger” kiosks to cater to those who love burgers and even McDonald’s, but prefer an upscale experience. The kiosk allows customers to build their own burger, adding a variety of toppings and extras as they please. One customer decided to test the system to see what would happen. 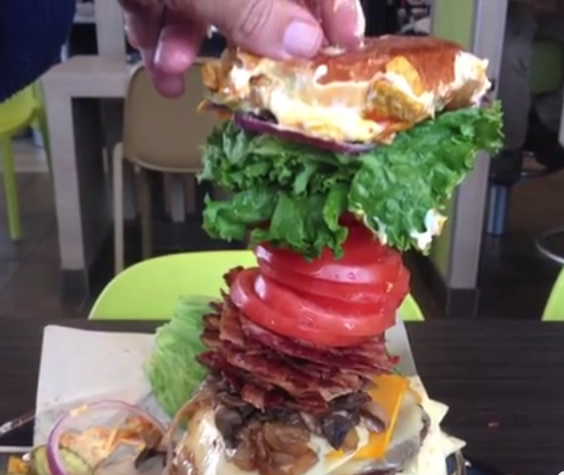 In the video below, you will see the customer’s order as it is placed – he decided to see how far he could “push” the system, learning more about how much you can really add to the burger. After maxing out on all of the possible options, he went to the counter and received his total – $890.00. The look on the cashier’s face is priceless. It appears that, not only did the customer test the limits of the kiosk, but he also uncovered a pricing glitch. The actual total came to just around $24.00. Customers love to try new things and some will even see how far they can go with new apps, programs, and features. This is a fun Friday example – enjoy! McDonald’s tried…they really did. They offered an employee resource service, both telephone and onsite, called McResource. 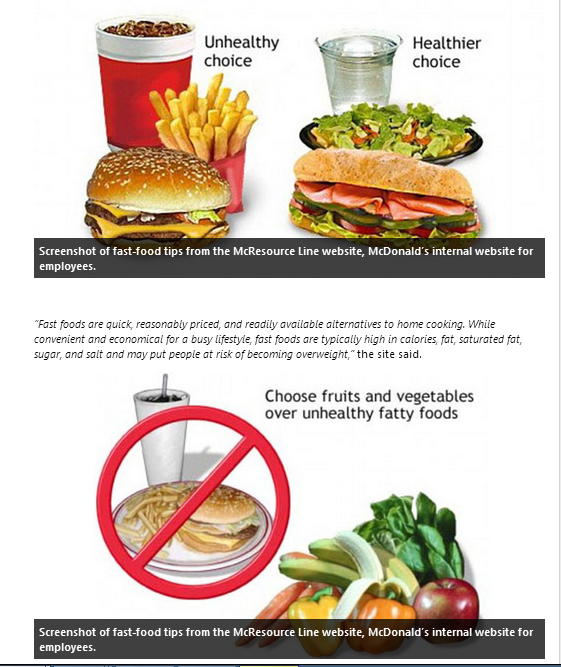 The purpose of this site was to offer tips, resources, and assistance to McDonald’s employees. It’s a good thought, and one that could serve beneficial for those who needed it. But, it was recently taken down, as it was not as helpful as originally anticipated. The site provided some information and advice that was not at all relevant to the employees – for example, one “tip” offered advice on how much to tip pool cleaners, housekeepers, and au pairs, despite the fact that many of the employees are not making an income commensurate with these types of services. When offering budget information, news sources share that the site offered budgets that not only included a line item for a second job (subliminally suggesting that wages were not sufficient enough to maintain a basic lifestyle) and didn’t account for some major items, such as food and gas. The company stated also that they offer helpful information from third party vendors, which is great, but it has to be relevant. Taken out of context or not, it’s a good lesson for companies to be in tune with your employees, what their needs are, and what issues are most relevant to them. As I mentioned, I think this was a great attempt to offer employees assistance, information, and advice; however, the company needed to ensure that the information was relevant to their employees and could offer them the help they were looking for. Perhaps listening to employees, through feedback programs or a “contact us” link on the McResource site would have been helpful. When you want to help employees, it’s important to do it from their perspective and give them what is truly important to them. Being out of touch, or giving the perception of being out of touch (by offering tip suggestions for pool cleaners), can send the wrong message to your employees. And, if word gets out, it can create bad press for your brand. The site has been taken down for the moment; hopefully they will revamp it and reopen it to its employees with more relevant, useful information. Before doing this, I hope they take time to listen to their employees and really get a sense of their needs so that this time, it’s a success.